Good thing Vermont’s GMO bill has a long shelf life. It’s been three years — and one and a half sessions — since legislation was introduced to require genetically modified organisms be labeled as such. 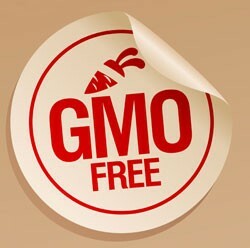 The GMO bill passed the House last Friday by a vote of 99 to 42 — just days before the session ended. A third of Vermont’s legislators were cosponsors, signaling the bill’s broad public support. The next step — a Senate vote — won’t happen until the legislature convenes next January. That’s not ideal for supporters of the bill, but it’s better than dead. Some observers thought the bill was history as recently as two weeks ago. But it passed the House Judiciary Committee 7 to 4 on the morning of May 7. “I think this will make it to the floor Thursday or Friday,” predicted Rural Vermont director Andrea Stander, and she was right. The bill still has a tough row to hoe. Earlier this year, Assistant Attorney General Bridget Asay expressed concern that a GMO labeling law might leave Vermont vulnerable to costly lawsuits from the food and biotech industries.